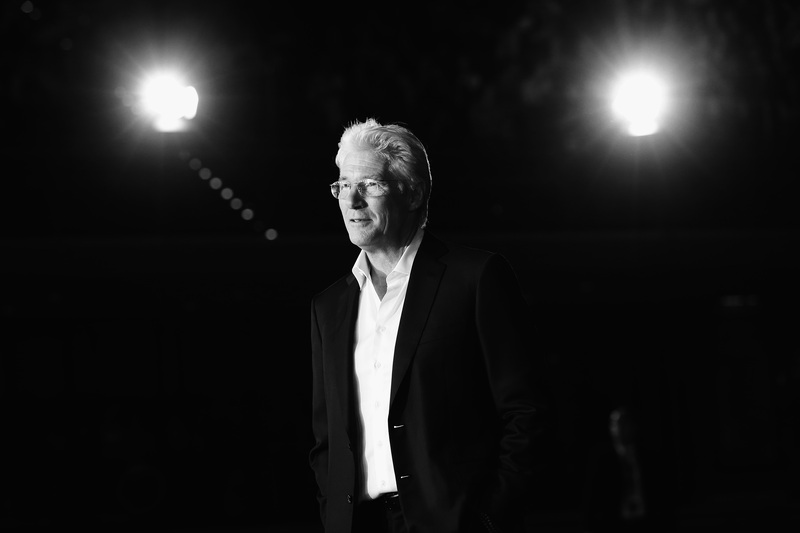 From the suave and elegant gentleman of Pretty Woman to the lonely, homeless father of Time Out of Mind, quintessential leading man Richard Gere has made a total turn-around with his latest project. Time Out of Mind is a meandering meditation on family relations and a man's flight from his demons. Gere stars as George, a bootstrapped, aging man thrust out on the streets — we first see him sleeping in a makeshift bathtub-bed in an abandoned home. It provides flashes of insight into the daily indignities of involuntary homelessness, like applying for benefits or residing in a shelter. And it's a definite 360 from Gere's previous work, for which he's been notably shafted in Academy Awards year after year. Could Richard Gere win an Oscar for Time Out of Mind ? Time Out of Mind is Oscar bait if there ever was one. It's moody and ponderous, with the sort of dim aesthetic and wobbly camera work that seems to beg for awards attention. Furthermore, it features Gere distinctly out of his comfort zone. The charismatic super-star plays someone who is nearly invisible to those around him, in stark contrast to the charm he oozes in his other films. Plus, believe it or not, Gere has never been nominated for an Oscar. Not once. A couple Golden Globes, an Emmy, a few SAGs — and two Razzies — but no shot at the top prize. Here's why Time Out of Mind might finally be his way in. Time Out of Mind reveals something about its audiences as much as its subject matter. It forces us to confront the fact that there are very real people like Gere's character George who are on the street for no explicit reason — rather, a confluence of unfortunate reasons — that we ignore each and every day, walking straight past them. By casting one of the most charismatic movie stars around today in such a role, the film focuses on just that. It turns a glamorous individual into someone who might not get a second glance were he not the focus of a film. And it's that kind of social commentary that the Academy Awards selection often seems to find compelling. Though Gere himself hasn't been nominated for an Oscar before, the team supporting his performance has a couple of awards ceremonies under its belt. Director and writer Oren Moverman was nominated in 2010 for Best Original Screenplay for The Messenger, while producer Bill Pohlad worked on 12 Years A Slave, Into the Wild, and The Tree of Life, earning a Best Picture nomination for the latter. Producer Caroline Kaplan has also been nominated for two Emmys and was a part of the team behind Boyhood. The filmmakers behind Time Out of Mind are no strangers to the festivities, and they might help propel Gere into the ranks of nominees, if not Oscar winners. In between the montages of Gere going about his daily life are a few appearances by equally unexpected faces. Jena Malone co-stars as George's daughter, but her role is too big to rightly be deemed a "cameo." No, that distinction belongs to Steve Buscemi and Kyra Sedgwick, two screen vets whose presences underscore the star power behind Time Out of Mind and its potential for the coming awards season. If it's any indicator, the Bob Dylan album with which the film shares its name was widely received as the aging folk singer's comeback. The movie has definite potential to serve the same role for Gere, revitalizing a career that has too often been compared to that of George Clooney — based in the actor's personal appeal rather than his acting talents. And even if Gere isn't headed for an Oscar win, his performance in Time Out of Mind certainly warrants a nomination.